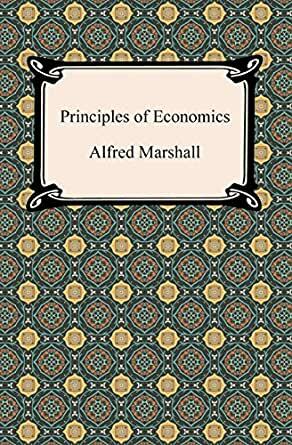 Alfred Marshall (1842-1924) was one of the most influential English economists of his time. Known as one of the founders of neoclassical economics, Marshall desired to improve the mathematical rigor of economics and transform it into a more scientific profession. Although he took economics to a more mathematically meticulous level, he did not want mathematics to overshadow economics. 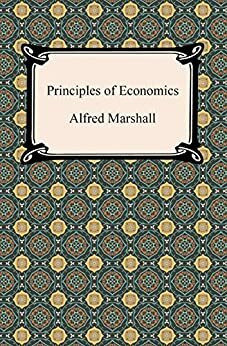 Marshall began his significant work, the "Principles of Economics," in 1881 and spent much of the next decade at work on this discourse. "Principles" achieved worldwide reputation, becoming the most dominant economic textbook in England for many years. It positively shaped the teaching of economics in English-speaking countries. The main technical contribution was the masterful analysis of the issues of consumer surplus, increasing and diminishing returns, short and long terms, and elasticity. It brings the ideas of supply and demand, costs of production, and marginal utility into a coherent whole. In a broader sense, Marshall hoped to reconcile the classical and modern theories of value. Classic book! But this is just a re-print of scanned pages with very wide blank margins. There is even hand writing on many of the pages. Find a higher quality print if you can for such as classic! Disappointed by the quality. The Kindle version is complete. It contains all six books and all appendices. Do NOT purchase any of the classic series Kindle versions. They were scanned in with an inferior text interpreter which made the text unreadable. Instant publishing job on large, coarse paper. It's like a phone book. I wanted a normal book, not a phone book. The actual content could easily fit into a regular book. No serious student of economics and/or politics should go without this book.